We began working with expert chainsaw carver Simon O’Rourke in 2017 when he joined us at the Arb Show to do a wood carving demonstration. For us, he was an obvious choice for a partnership as he is the best at what he does – he has won several chainsaw carving competitions and makes his living selling his creations throughout the UK. What sets Simon apart is his ability to use a chainsaw to create such precise works of art. With a background in illustration, he spends a significant amount of time researching the form of what he is carving before starting, before using his extensive range of STIHL chainsaws to produce everything from fantastical creatures to famous faces. Simon’s work is on display all over the country so read on to find out where you can discover his carvings for yourself. Art and eating combine in Bristol, Cardiff and Southampton! Steak of the Art is not your standard restaurant chain. The original venue in Bristol was set up to be a restaurant and art gallery combined, with interiors that make you feel like you are stepping straight into a work of art. Commissioned to produce a booth for the restaurant, Simon combined wood carvings of Alice in Wonderland, the Mad Hatter and the signature playing cards to create a Wonderland-inspired booth for the Bristol restaurant. 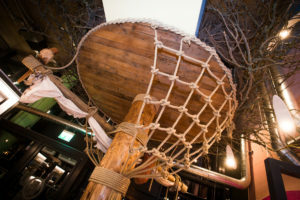 This was followed by a Charlie and the Chocolate Factory-inspired booth when the second restaurant opened in Cardiff, and a crow’s nest booth in Southampton. You can request one of the booths when you book a table at any of the restaurants if you want to experience the magic in person. Another of Simon’s installations is the sculpture trail at Meadow Park in Great Sutton on the Wirral Peninsula. Based on a story about Ruby the Owl looking for a home, the trail was paid for via fund-raising from an intrepid band of local volunteers who wanted to improve their community. Consisting of 10 wooden sculptures in total, Ruby hit the news earlier this year after she was stolen from the park, but luckily she has now been recovered and is back where she belongs! The Giant Hand is one of Simon’s favourite, although challenging, pieces that he has carved. “It is so detailed and had to be exactly to scale, so it was a huge challenge but was also really fun,” he said. Simon put himself forward to carve the hand when he heard that Natural Resource Wales were looking for someone to carve a sculpture out of the tallest tree in Wales, after it was damaged by storms. 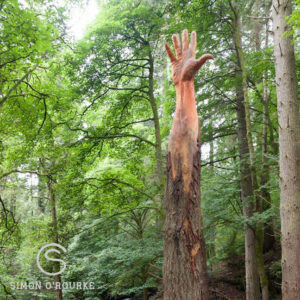 The area where the tree was had been named the Giants of Vyrnwy, so Simon decided that a giant hand would be a fitting reminder of the immense tree. It took six days of carving as well as two extra pieces of timber to form the thumb and little finger as the tree wasn’t quite wide enough. One of my favourite wood carvings from Simon is his very own pet dragon, Hemlock! 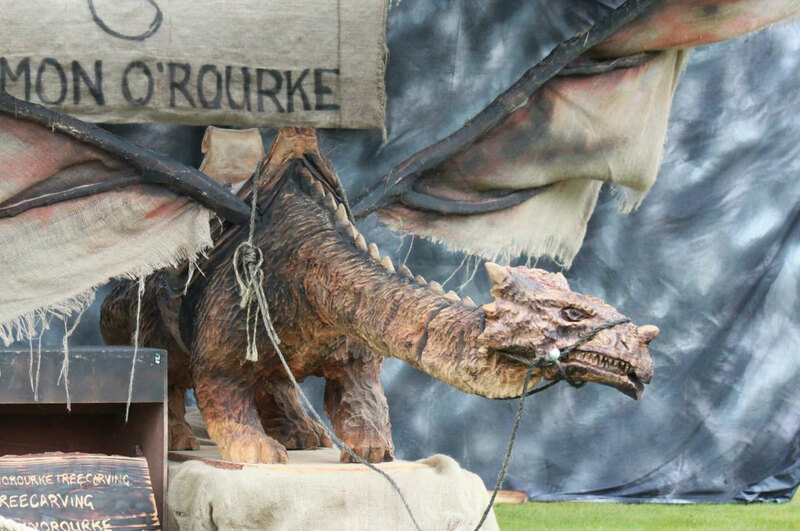 Hemlock the dragon makes guest appearances at shows, fairs and festivals throughout the year so you may be lucky enough to see him out and about yourself. His next appearance will be at the Trade Of Thrones market in Warrington town centre on May 7th, 2018 so keep an eye out for him there! What’s your favourite Simon O’Rourke carving? 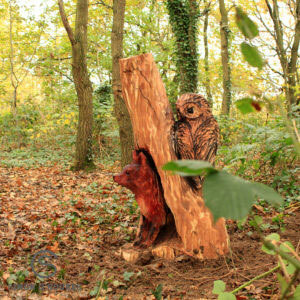 Have you seen any of Simon’s other wood carvings around the country? Let us know in the Comments. War of the slugs – What’s The Best Slug Control? Thank you for visiting the STIHL GB blog. Here you’ll be able to find useful seasonal advice from experts and guest writers, along with the latest news from the world of STIHL and the great outdoors. In addition, we’ll keep you informed about our latest products and how to make the most of your tools – all so that you can make the most of your outdoor space. I would like to hear more from STIHL. 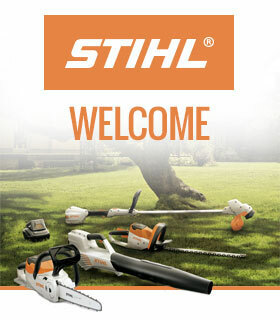 We will send you an e-mail once a month sharing advice, news and tips about your garden, our tools and STIHL. It will also mean that you don’t miss out on STIHL competitions, promotions or offers.